Wow we’re in October already, I’m not actually taking part in Blogtober this year but I’ve got a long list of content ideas including autumn related content planned for my blog over the next couple of months… Today though is going to be a stationery haul! Stationery after all is one of my favourite things. Recently WHSmith had a clearance sale on (plus other sale offers on other items) I had a quick look through their website and was soon putting an order in, I actually bought this lot in 2 orders. 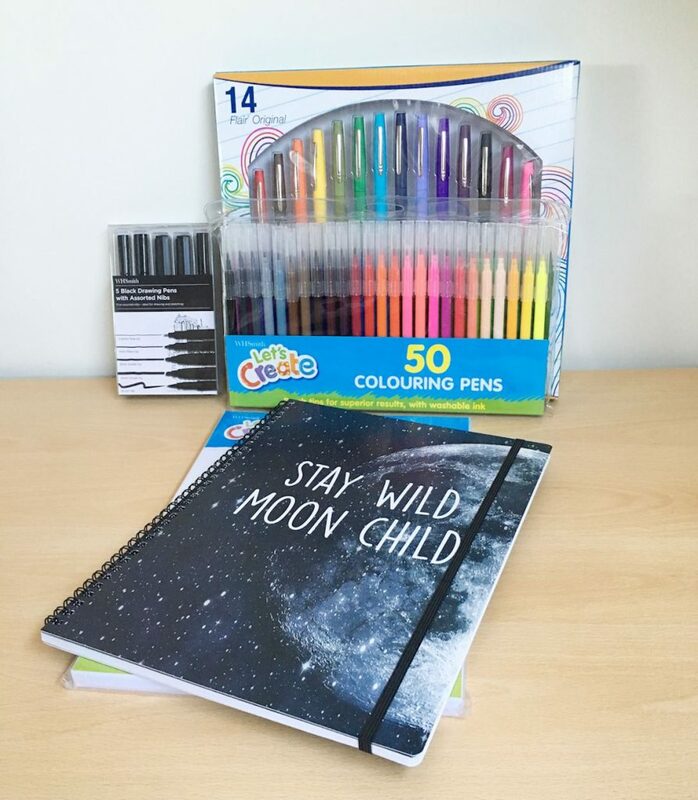 The next day I bought the colouring pens plus the card and also some books which I may include in a future blog post. How great is the notebook, I always love The Moon related things and you can never have too many notebooks right? I say this while currently having several notebooks I’ve not yet started using… Anyway, this one has lined pages and also has a pocket you can slip things like notes into as well. 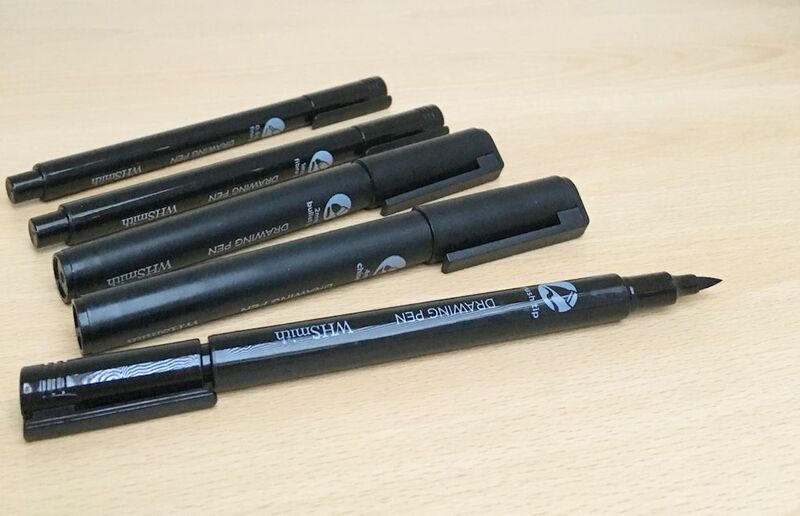 I’ve been thinking about getting some new art pens to draw with for a while then saw this WHSmith pack of 5 drawing pens were discounted (like half the price!) so thought why not, plus they include a brush pen which I really wanted. I have already had a bit of a doodle with them and really like the quality of the ink. The Let’s Create card has been a go to of mine for making cards for quite some time now so since this was also in the sale I thought I’d get another packet. 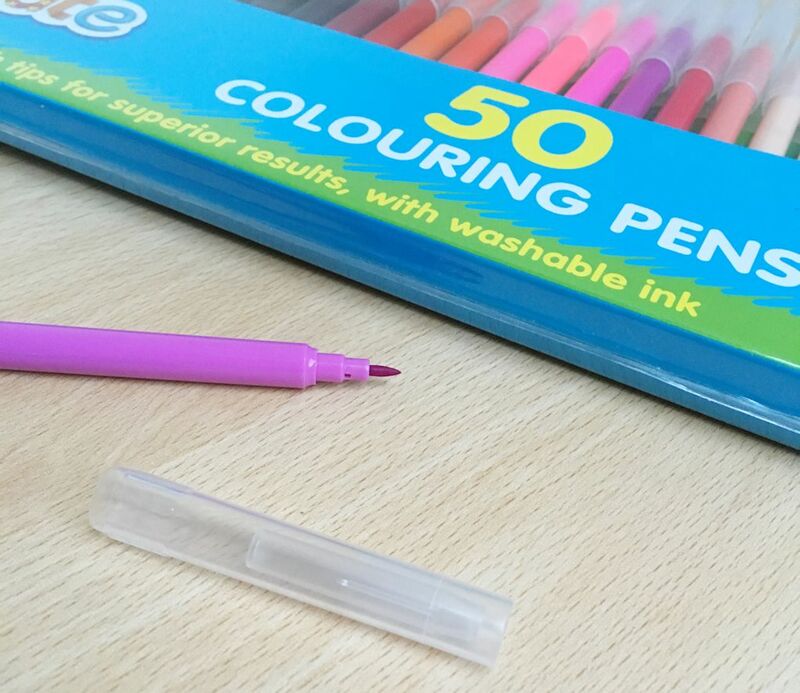 I decided to go with the pack of 50 with these Let’s Create colouring pens, I absolutely love just how many shades there is in this packet. So many to choose from! That is everything! Have you bought any stationery recently? This entry was posted in lifestyle and tagged stationery on October 2, 2018 by Victoria. Ah! I love, love, love stationery!! I could literally spend my whole salary on pens and notebooks 😉 LOL! Nothing quite like putting a brand new pen or marker to a fresh page of an empty notebook. Heaven! Those drawing pens look awesome. And YES! I absolutely use tabs!! How else are you supposed to be able to compare everything before selecting what you want to buy? I love a good stationery haul! That notebook is gorgeous! Pens and notebooks are my weakness! I am always on the lookout for new pens and notebooks. Just seeing your haul makes me want to go out and buy more pens, haha. Great post! I do love stationery, and when it comes to notebooks, there’s always room for another one!! 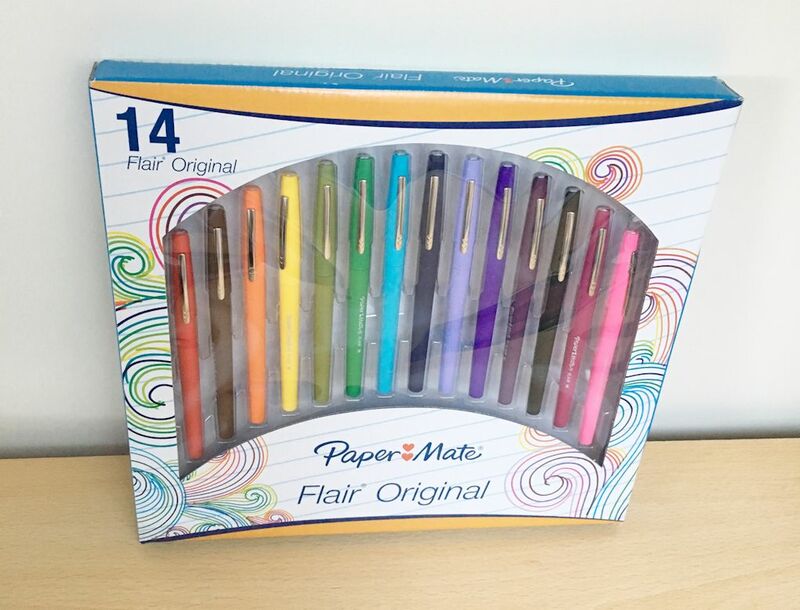 Paper Mate Flairs are LIFE! Such a good pen!